I have put together a collection of some of my patterns with a spring time feel and they’re 25% off until Sunday. There are single patterns and a couple of sets as well, which means saving even more! Feels Like Spring collection for everyone else. The code to use is SPRINGTIME and it’s valid* until Sunday, March 25th. 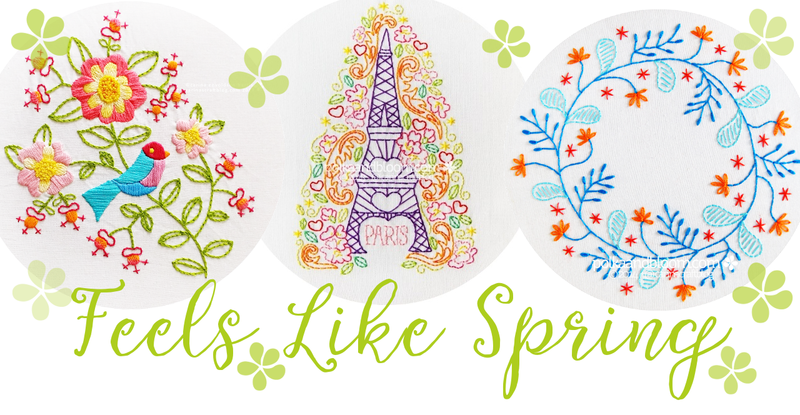 *25% off is only valid on the patterns in the Feels Like Spring collection. Next Post Win A Copy of Mandalas to Embroider!